First time ive been on forum in about 2-3 years and find out avp2 is back up and running? I played evac 2 days ago at night. There was a sharp shooter guy/girl with nick 'NoName'. He owned me most of time. The others were no problem except that one. What kind of fighting style should we adopt against those snipers? If you jump directy against them or fly on the air, they just kill you before you land. Still quite a few folk on, got links up on a Facebook group and on here to get AVP2 up and running with latest patches, if you want gimme a message on FB and I'll send you the links. Yeah I've seen those guys and I use the same method as that guy, tbh it's not him that's the problem, it's the game. The fact that the aliens are moving at a constant speed that never changes is the problem. Snipers can now time where the alien will be within the scope no matter what direction. If the game had stamina levels where your speed increases/decreases depending on stamina then it would be far more challenging. I've only had problems with erratic runners that jump constantly from wall to wall (depending on the map, Alien in an open map like Compound is the worst choice, best with Predator/Human), my best choice is to make your movements erratic and not directly jump or fly to them because he will most likely just wait to get a shot on you. Thanks for the info Jag. Do you know what I need? I need to watch a kickass alien against one of those sniper shooters. So that I will learn a few more tricks. Nowadays, it's pretty hard to find one though. The best alien (better than me) whom I watched last time was 'RoadKiller'. I have not seen him for years. If I go more back, Optimus Prime. I found him in facebook and tried to communicate with him. But he did not answer me. By the way, do you have time for a training today? Let's say 2.5 - 3 hours later? Already 10.30pm here and I'm off to bed. Will be on tomorrow night though. Karate, you're just countered. A good sniper shouldn't really lose to...well anything. Especially an alien, and you play a predalien, don't you? Those are the easiest to kill by far. One mistake I've witnessed more than any other is after you miss a pounce, they jump. And considering most aliens play crouched constantly, it makes the jump higher, giving the sniper PLENTY of time to aim right where you are going to land. The only time a scope should ever be used is on a map like alesserfate, luifersfate or if someone is trying to rapid snipe. Other than that, no scoping is muuuuch easier than scoping, IMO. 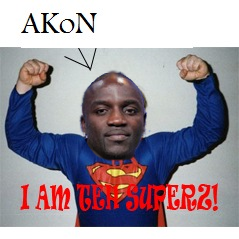 AKoN, you're right. I play as predalien. The jumping part you're talking about is a big mistake as you said. It gives the sniper shooter opportunity to kill when alien lands. I mostly don't do that. 1) I hate the map Compound. It does not have a plain ground which makes pouncing problematic. And it's almost impossible to attack humans without making them noticed. Sharp-shooters kill you on the air if you try to pounce too high. The missing rate of pounce also increases in that kind of maps. 2) I need to learn how to dance better after I miss the pounce. This is an important skill. 3) I need to know how to get closer to the rines or corps. Pouncing directly against the good players is very risky. Maybe I should land near them and then attack? 4) In suitable maps I should do more wall-walks. By the way, I will not be online tonight JaguaR. But I may be online tomorrow. I agree, and I don't scope when a Xeno is heading straight towards me, only for compound or alesserfate. I meant sights or view but whatever. I'm going to be online tonight. Will you play too? Allright. I would be online after 11 hours I guess.. So in 11 hours time or after 11pm your time? It's 9:24 AM at the moment in my country. I will be online around 8:00 PM. Might be a little late tonight but I'll still be on. People are still bashing someone for aimbotting like a decade back? lel. EDIT: I now got my thumb out of my arse and read the post. Are you busy tomorrow night? I'll be probably in game. I'll try to get the game going aswell.